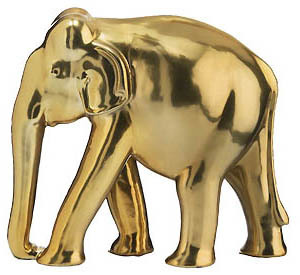 Is the GOP Changing Its Name to GOLD? 4.5.16 - The top two of the three remaining Republican presidential contenders have spoken positively of restoring our money to a gold standard. In fact, only two of the most popular Republican establishment candidates – Ohio Governor John Kasich and Florida Senator Marco Rubio – have refused to at least consider a return to the constitutional money backed by precious metal that America's Framers wrote into our Constitution. Both of the maverick candidates – billionaire entrepreneur Donald Trump and Texas Senator Ted Cruz – have shown a special fondness for gold. “In some ways I like the gold standard,” Trump told WMUR television in New Hampshire in 2015. But, unlike those he calls “all talk, no action” politicians, Trump has put his money where his mouth is by making gold a large part of his everyday life. As National Review writer Celina Durgin reported, Donald Trump has taken gold bullion as payment instead of dollars for a renter in one of his Manhattan buildings. His own Trump Tower Louis XIV-style residence glows richly with gold from its lamps, vases, dinner platters, crown molding and other 24-karat fittings. It is a palace worthy of King Midas, or a Baroque monarch, or the James Bond character Goldfinger. On the road, Trump's custom chopper motor cycle is detailed in 24-karat gold. His helicopter includes gold seatbelt buckles and handles. His Boeing 757 private jet features gold seatbelt buckles, faucets, table legs, trimmings and insignias, writes Durgin. America's gold standard may have been hijacked, but Donald Trump retains his own as displayable, wearable wealth, akin to the gold-laden wedding costume of a bride in India. Progressive politicians hate the classical gold standard, of course, because it tightly limits their ability to grow government by printing paper fiat money. Such currency printing is a hidden tax on all of us who earn our money and then have newly-printed government dollars rob the value of what we earn and drive up prices via inflation. As economist Alan Greenspan wrote before becoming chairman of America's central bank, the Federal Reserve, an expanding welfare state could not sustain itself if a gold standard required politicians to have a dollar's worth of gold before they could print another dollar. “Instead of adjusting monetary policy according to whims and getting it wrong over and over again and causing booms and busts, what the Fed should be doing is...keeping our money tied to a stable level of gold,” says Senator Ted Cruz. Yes, Cruz calls for a return to hard money, to the gold standard of more than 100 years ago that required every paper dollar to be backed by a guaranteed amount of gold. Today's Progressive welfare state was built on the government's ability to conjure billions and trillions of paper fiat dollars magically out of thin air. Take that away and the Left's power to endlessly expand government collapses. A restored true gold standard would handcuff the politicians by requiring them to back each new dollar with actual gold. Cruz is by no means the first modern candidate to call for restoring honest money. President Ronald Reagan appointed a gold commission to consider the idea, and former 2016 presidential candidate Senator Rand Paul's father, Congressman Ron Paul, was a commission member. Among 2016 GOP presidential candidates, Senator Cruz may be the only one to formally endorse returning to a gold standard – but several other candidates spoke positively of studying or considering the idea, including former Arkansas Governor Mike Huckabee, famed neurosurgeon Ben Carson, Kentucky Senator Rand Paul, New Jersey Governor Chris Christie and frontrunner Donald Trump. A return to the classical gold standard is quite plausible, but a gold standard works because of gold's scarcity. After thousands of years of mining this incorruptible precious metal, the entire world supply would fit into a single cube only about 67 feet on a side. Because Progressives have printed so many dollars out of thin air to fund their welfare state, each dollar's fixed value under a new gold standard might be only 1/5,000th of an ounce of gold or less. In other words, implementing a new classical gold standard might cause the value of gold to jump to $5,000 per ounce or more. The election, or even nomination, of a President Ted Cruz would signal the world that America and its voters may be returning to the classical gold standard – and returning to our former economic greatness. Honest money has once again become thinkable. The election of Donald Trump would mean Americans are willing at least to consider a return to real money. The election of Governor John Kasich, or of Progressive former Secretary of State Hillary Clinton, or of self-described socialist Vermont Senator Bernie Sanders might mean that a majority of voters prefer a welfare state made out of unbacked paper to a genuine prosperity built on the solid, honest money specified by America's Framers. The 2016 election could be a referendum on whether our future will be based on real money that regulates itself, or on a paper economy of politician promises that needs constant Federal Reserve manipulation to prevent it from crashing. The 2016 election could decide whether the GOP is changing its name from Democrat-lite to GOLD, and devoting itself to restoring America's Golden Age. 2.12.16 - We may be witnessing a revolution to restore integrity to both our money and our politics. 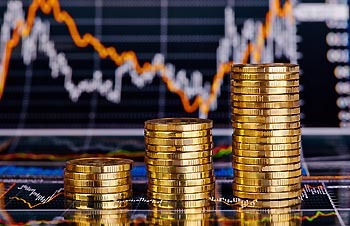 Stock prices since the start of 2016 have been plummeting, and gold is soaring, as people lose faith in the powers that conjured a fake prosperity based on paper money, politicized markets, and zero interest rates. Voters in the U.S. are rejecting candidates of the old ruling elites in both major political parties. Candidates who promise to overthrow these elites, such as businessman Donald Trump and Texas Senator Ted Cruz, are winning big. Even democratic socialist Vermont Senator Bernie Sanders is winning against a “Progressive” opponent who has pocketed more than $20 Million from crony capitalist Wall Street entities. Sanders' policies may be wrongheaded, but at least he is honest about his far-left ideology and what he would do if elected. Today's outcry is that we want to get America's money back, the honest hard money the Framers specified in our Constitution that politicians cannot manipulate. Senator Cruz advocates a return to the gold standard and the American Dream, which made America the freest and most prosperous nation on Earth. And we want our government back from the best politicians money can buy, the establishment politicians of both parties who have driven our economy into permanent recession and near-zero growth by choking our free market companies with regulations and the highest business taxes in the advanced world. Today our establishment politicians have driven America into stratospheric debt. The interest on that debt at near-zero interest rates, plus the entitlement programs used to buy votes, now devour 71 percent of all government revenue, a rate that is rapidly rising. In today's America, 49.5 percent of households have someone living there who gets a government benefit check. In Hawaii welfare recipients are paid more than $60,000 a year to sun themselves on the beach. And 94 million Americans are unable, or unwilling, to find needed full-time jobs. After an injection of $8 Trillion of economic stimulus spending, much of it paid with dollars conjured out of thin air, our economy's GDP is growing at an anemic 0.7 percent, skating on the edge of permanent recession. The stimulus actually made things worse by frightening employers and investors. And now growth is slowing as establishment politicians promise higher taxes and more government giveaways using yet more economic gimmicks – such as “below zero” interest rates – to prop up a shaky economy and falling stock market casino. Craig R. Smith and I have co-authored six books warning that this was coming. Those who listened have found safe havens, but millions now may have only a precious short time to do likewise. We should have learned what America's Framers taught, that government and politicians and politicized paper fiat money are not going to save us. Only wise and decisive self-reliance can do this, and the time for each of us to take such action to protect our families could be perilously short. This is what the tremors we now all see in the markets and our politics are warning us. It's time to escape back into real money and real self-reliance. The time to make that decision is now. 1.5.16 - President Ronald Reagan reawakened us to morning in America, an era of optimism that produced a quarter-century of prosperity and success. President Barack Obama's seven years, by contrast, have produced mourning in America and a widespread pessimistic feeling of loss, despair and grief. Millions now feel that something essential to our success and well-being has died here – that we are sad witnesses to the death of the American Dream. 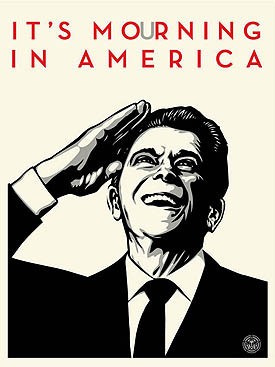 Sixty-three percent of those interviewed in this poll no longer believe in the American Dream of rugged individualism, personal freedom and responsibility, the right to set your own course in life and to keep the fruits of your efforts in a land where small government allows individuals to achieve their highest potential. If nearly two-thirds of us have lost faith in this faith-based dream, is the America of our Founders and Framers doomed soon to die and disappear? An alternative vision has for a century been undermining our traditional values and ideals, as Craig R. Smith and I explore in our latest book We Have Seen The Future And It Looks Like Baltimore: American Dream vs. Progressive Dream. The Progressive Dream, a collectivist ideology that emerged from the French Revolution and European Romantic Movement two centuries ago, is opposed to individualism, Judeo-Christian values, and free market economics. Progressivism views people and nations as groups to be led by a ruling elite of superior beings who by replacing religion and individual freedom with Big Government and Big Science can create utopia, a human-made heaven on Earth. In Europe, Progressivism metastasized into Socialism, Communism, Naziism, Fascism and today's welfare states. In the United States its banner today is carried by President Barack Obama and Democratic candidates such as self-proclaimed socialist Bernie Sanders and former Secretary of State Hillary Clinton, who promises that if elected she will “topple” the top 1 percent of earners in America. The Progressive Dream in all its small variations believes above all that government should be paternalistic and, therefore, that the people should be infantilized and utterly dependent on Big Government. Truth in labeling would rename this ideology the Regressive Dream, because in all its forms it would create not progress or prosperity but the squalid, impoverished collectivism that was Europe and much of the rest of the world during the Dark Ages. This is, to a shocking degree, what seven years of President Obama have produced. He and his comrades have driven America $20 Trillion into debt to enrich a few cronies and stimulate anemic economic growth of less than 2 percent as we teeter on the cliff-edge of another Great Recession or Depression. America's non-employment rate is today the worst since another Progressive President Jimmy Carter's economic malaise of 28 years ago, the fetid quicksand of which America escaped by electing Ronald Reagan in 1980. In 2016 we face such a choice again. Will America vote to give Obamalaise four more years of Progressive Dreaming with Mrs. Clinton or Mr. Sanders? Or will we vote to return to optimism, freedom and the American Dream? Will it continue to be mourning in America on the downward path of Progressivism – or the sunrise of morning lighting our way back upward to the American Dream? 12.17.15 - Last April Baltimore erupted in rioting over the death of Freddie Gray, a heroin dealer and recidivist criminal in this once-great city where today one of every 10 residents is a drug addict. The trial of the first of six police officers charged in Gray's death from injuries while riding in a police vehicle ended in a mistrial on December 16th as a jury deadlocked over the fate of officer William Porter, who now may face a second trial. To the rioters who injured 200 police officers and did more than $20 Million in damage, Gray remains a martyr to police abuse of power. This jury's refusal to convict Officer Porter, many fear, could trigger a new round of violence, arson and looting. To these rioters, Porter is seen as a demon who might have been sentenced to 20 years in prison, largely for failing to protect Gray from five other officers – two black and three white – and for refusing to testify against his fellow police in court. It was to compel his testimony that Porter was put on trial first. Both were African-American, raised by single mothers in poverty. As in the 1938 movie Angels With Dirty Faces, encounters with police changed both lives. Gray went on to become a criminal, a kind of urban terrorist waging chemical warfare against Baltimore's children by hooking them on heroin. Porter was blessed by a mother who signed him up for sports at a local Police Athletic League center where he found in cops the father figure he lacked at home. He became a police officer sworn to protect his community. So, in this city long dominated by Progressive politicians, where welfare addiction blurs into hopelessness and drug addiction for many, Gray is now portrayed as a victim-hero and Porter is now demonized. The accused police should never have been put on trial in this corrupted city, where the state's attorney refused to recuse herself despite being elected with a $5,000 campaign contribution from the Gray family's lawyer. 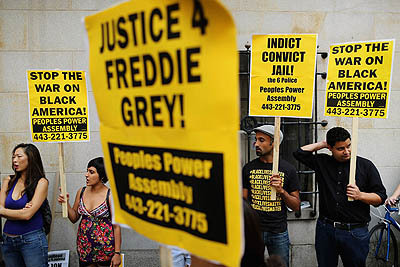 The officers should have granted a change of venue so jury members would not be afraid to acquit out of fear that the local mob of Gray activists might attack them, their families or homes. Mayor Rawlings-Blake's appointees had told police to “back off” rather than confront or arrest rioters. Instead, as the New York Times reported, she reached out to gang leaders of the Crips, Bloods and Black Guerrilla Family to restore order. As the Times reported, they did so by protecting a few African-American stores and directing looters to attack instead the stores owned by other minorities. Since this rioting and attacks on police by rioters, activists and local political bosses, the murder rate is up by 54 percent in Baltimore. More have been murdered in Baltimore this year than in New York City, with a population 13 times larger. Baltimore's police, no longer willing to risk their careers or freedom by pro-actively fighting crime, have reduced arrests this year by 30 percent. A similar decline in law and order and jump in crime is now evident in 35 Democrat-controlled American cities. Officer Porter should face justice, but Justice is supposed to be blind and not have a heavy left ideological thumb tipping her scale. Porter and these other officers should be granted a change of venue, so juries need not feel afraid or intimidated, and President Barack Obama's Justice Department should not subject any of the officers who are acquitted to the double jeopardy of a federal trial. Lowell Ponte is co-author, with Craig R. Smith, of the 2015 book We Have Seen The Future And It Looks Like Baltimore: American Dream Vs. Progressive Dream. He is a former Roving Editor at Reader's Digest. ARE REPUBLICANS "CRUZIN" FOR A CRACK-UP - OR VICTORY? 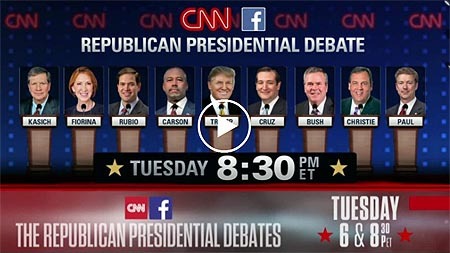 12.15.15 - With voting in the 2016 presidential contests soon to begin, is the Republican Party headed for a train wreck? Does the GOP face a politically fatal dilemma: either nominate the provocative billionaire Donald Trump or deny him the nomination via a brokered convention followed by a Trump independent candidacy (like Teddy Roosevelt's in 1912) that would split Republican votes and bring victory to likely Democratic rival Hillary Clinton? A gambit by Texas Senator Ted Cruz might prevent this GOP disaster. Having surged ahead of Trump by 10 points in Iowa in the latest Des Moines Register/Bloomberg Poll, Cruz is the one candidate in a position to play this gambit, likely in one of the final Republican debates. The gambit would be to propose that in 2016 the Republican Party should do as our British cousins do – offer voters not just a President and Vice President, but an entire “shadow government,” while daring Democrats to do likewise. “My fellow Americans, as you can see on this debate stage, the Republican Party has an abundance of some of the most diverse, talented and qualified people ever to seek the presidency. I've heard many say that it's too bad only one can be president. “So tonight I propose that we join together and run as a team, as they do in Great Britain by showing you what our entire government might look like. “Donald Trump is one of the world's most skilled negotiators, as well as a great patriot,” Cruz could continue. “And if I am elected, Mr. Trump would be the first person I would consider to be my Secretary of State. So you do not need to choose between us. You can have both of us, with Donald Trump as America's negotiator with Mexico and other nations, using his huge talent to benefit our nation and economy. “Doctor Ben Carson is one of the most skilled and respected surgeons in world history. What better Surgeon General could America have to heal our nation and keep it healthy? “As Secretary of the Treasury, who has devoted more of his life to studying our economy, money supply and Federal Reserve than Senator Rand Paul? “As America's Attorney General, who would be tougher on crime than New Jersey Governor Chris Christie? “To defend our nation, who is more knowledgeable and courageous than Arizona Senator John McCain, or if he prefers to stay in the Senate, we could then consider a bipartisan hero like former Navy Secretary and Democratic Virginia Senator Jim Webb. “To hold a key new cabinet position to win the war against terrorism we could have the vital leadership of Florida Senator Marco Rubio. “Think of all the passion and talent former Florida Governor Jeb Bush might bring to being Secretary of Education. In effect, he would be the Secretary of America's Future, because that is how important improving the education of our future generations is. “Or envision former Hewlitt-Packard head Carly Fiorina as America's Technology Czar or chief trade negotiator. “If I am chosen to hold high the Republican standard, we will be offering the American people an entire team of talent ready and able to win for America, restore our prosperity and position of leadership in the world. If Cruz did this, it would be a sharp break with tradition. Candidates usually gather support by half-promising the same position to many power brokers to gain their support. By this new “shadow government” gambit, Senator Cruz would give Trump and his supporters a high government position where Mr. Trump could exercise his greatest talents to benefit the United States by doing what he does best. This gambit would also help consolidate the followers of other candidates around Cruz, strengthening his position relative to Trump. In effect, Cruz would be offering the supporters of many candidates a win-win opportunity. A Cruz nomination, perhaps teamed with a dynamic Republican female governor or senator, would force Hillary Clinton to name her pre-groomed choice for Vice President, Castro, the Secretary of Housing and Urban Development in President Barack Obama's cabinet. Craig R. Smith and I predicted this choice in our latest book, We Have Seen The Future And It Looks Like Baltimore: American Dream vs. Progressive Dream See page 81. Lowell Ponte is a veteran think tank futurist, a retired journalist in Washington, D.C., and a former Roving Editor at Reader's Digest Magazine. “Our nation has been at war with terrorists since Al Qaeda killed nearly 3,000 Americans on 9/11,” he continued. After years of avoiding the word “terrorism” or any link between such acts and Islamism, a political ideology, the President’s statements at least imply a change of mind. Has Mr. Obama seen the light – or merely felt the heat of Democrats facing the 2016 election tied to a President who has seemed weak and indecisive? As columnist Charles Krauthammer observed, President Obama at last showed up on these issues on Sunday night, and showing up is 80 percent of being President. But the President on Pearl Harbor Day eve offered no new policy against ISIL/ISIS in his speech. His battle plan in this newly acknowledged war against terrorism sounded more like an attack on Americans than on radical Islamist terrorists. Imagine that in 1940 we had tuned in to hear British Prime Minister Winston Churchill encourage those facing Nazi Germany’s bombing of London and 15 other British cities. What if Prime Minister Churchill had announced that in the face of Nazi aggression and potential invasion, his government’s response would be to disarm law-abiding British people? What if this wartime leader had said we must not speak ill of, nor monitor, Germans lest this radicalize them into Nazis? Bizarrely, these are the only new policies Commander-in-Chief Obama offered, after seven years of denial, to win this war with radical Islamism. 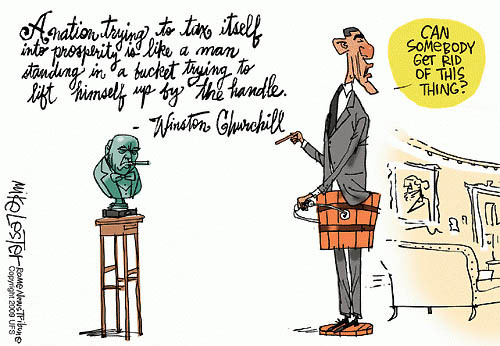 Missing from Mr. Obama’s Oval Office speech was the bust of Winston Churchill he returned to the United Kingdom as one of his first presidential acts in 2009. Britain gave the bust to the White House as a reminder that this great wartime leader descended not only from heroic Dukes of Marlboro but also from an American mother, Jennie Jerome, making him a hybrid of our two peoples. 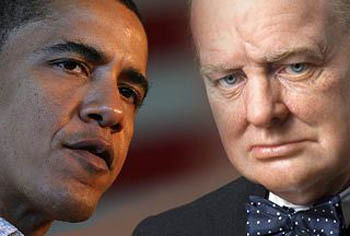 Both Churchill’s image and courageous spirit were missing from President Obama’s speech. Instead, we heard some very odd statements. President Obama, for example, denounced the “dark path of radicalization” that we should not fight by “abandoning our values” or by anti-Muslim “divisiveness,” i.e., free speech threatened by Attorney General Loretta Lynch. But President Obama was himself a radical community organizer who has relentlessly used Saul Alinsky tactics of polarization and divide-and-conquer to demonize opponents, pit Americans against one another, and circumvent the constitution. His own radicalism led him to associate with ACORN radicals, Marxist professors, and Weather Underground terrorist Bill Ayres. His own background is so extreme that were he not President, he might have a difficult time obtaining a security clearance from the United States Government. On Sunday, President Obama said we must not abandon our values, but those values include our Second Amendment right to keep and bear arms. Mr. Obama would now deny this to anyone whose name appears on the notoriously-inaccurate “No Fly” list -- violating another of our values, that we are innocent until proven guilty. Mr. Obama could arbitrarily put your name on the “No Fly” list, and the burden of proof would be on you to prove you do not belong there. Warrior President Obama seems eager to extend the benefit of every doubt and protection to Muslims in, or seeking to enter, America – but to repeal key constitutional rights of the rest of us. 12.3.15 - San Bernardino, 65 miles east of Los Angeles, became a scene of carnage on Wednesday, December 2, as three gunmen disguised in facemasks and camouflage gunned down more than two dozen people – leaving 14 dead and another 17 hospitalized. Their as-yet-unexplained target was a rented room in a treatment center where county environmental health officials were having a holiday party and awards banquet. The shooters carried assault rifle-like weapons, blasted the partiers, then calmly reloaded and continued shooting. They may also have carried three improvised explosive devices, pipe bombs. The shooters reportedly wore body armor, reminiscent of a scene in Los Angeles years before where police were unable to stop armed and armored robbers with 9 millimeter police handguns. Officers rushed to a nearby gun store to borrow elephant rifles, which brought down the criminals. The shooters on Wednesday fled to their black SUV and drove to nearby Redlands before returning. Police closed in on the vehicle and a firefight ensued that riddled the SUV with bullets and killed at two suspects inside. The Los Angeles Times pulled back its initial report that one may have been Tayyeep Bin Ardogan, a 28-year-old female citizen of Qatar on the Persian Gulf; police later identified her as Tashfeen Malik, 27. 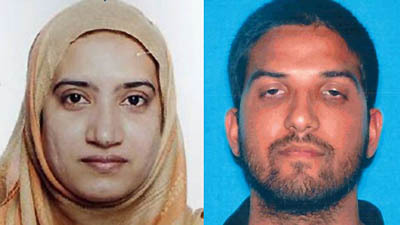 One of the three suspects was identified by the Los Angeles Times as Sayed Rizwan Farook, an American citizen employed by the San Bernardino County Health Department as an environmental health specialist. Why this attack happened is uncertain. The FBI refuses to rule out the possibility of terrorism. The Joint Terrorism Task Force is involved in this case. San Bernardino is a desert town where someone from the Middle East might feel comfortable. Summer days often hit 100 to 105 degrees. I remember them well, having been born and raised next door in Redlands. Summer days were comfortable because humidity fell as the temperature rose. Most local air conditioners were evaporative, not refrigerant. Today San Bernardino is laid out on the original ABC-123 street pattern of the Mormons who settled it as part of a Mormon corridor between Salt Lake City and San Diego that Brigham Young hoped would lead to a seaport state called Deseret…not one named Utah after the Ute Indians. In the early 20th Century the average climatic temperature here dipped by two or three degrees as people forested the region with orange groves, according to University of California research. But the temperature rose again after World War II, as housing subdivisions and paving replaced the orange trees as Americans rushed to the area’s sunshine and prosperity. I remember as a child being able to walk through orange groves for hours, never being stopped by a fence. But those groves are now almost entirely gone. Even so, San Bernardino was home to the National Orange Show convention center. This is where my Franco-American father won a prize for his orange cake. This is where the Rolling Stones played for the first time in the United States. This is where I practiced journalism for the first time by interviewing visiting bands such as Cream. Another California desert city of the Inland Empire celebrates the National Date Festival, where as a small child I was at age 4 sketched wearing a Fez. The local Dairy Queen in Redlands offered not just malts but also date shakes, and locals knew to make these with sugary Medjool dates, not Deglet Noors. Such was our casual desert kinship with the Middle East. Next to San Bernardino and Redlands is Loma Linda, a town of medical facilities to which the shooting victims were taken. The people here are, like Dr. Ben Carson, Seventh-Day Adventists. Loma Linda was so devoted to Saturday as their Sabbath when I was young that its post office was closed Saturdays and open Sundays. If you meet a petroleum engineer almost anywhere around the Persian Gulf, chances are that his or her college degree is from the University of Southern California in Los Angeles, which is near the Shrine Auditorium that looks like something out of the Arabian Nights. Terrorism has two essential components. One is the terrorist who uses threats and violence to frighten others. The other is people who can be frightened, without whom terrorism would be impotent. In our new book, We Have Seen The Future and It Looks Like Baltimore: American Dream Vs. Progressive Dream, Craig R. Smith and I analyze America’s growing vulnerability. One source of vulnerability is centralization. If you put 10,000 people in a big box called the World Trade Center, or in a densely-populated city dependent on a handful of electrical and water sources, you create a tempting target. Such centralization applies to government and society. As government grows bigger and more paternalistic, the people become smaller and more infantilized. College students now demand “trigger warnings” of professors and “safe spaces” because they fear being exposed to any provocative idea that might traumatize them. We appear increasingly to live in a society where millions never grow up, preferring to remain Peter Pan children sucking on the breast of government….dependents who never become independent or self-reliant. A society with many millions constantly dependent on government to provide for their needs and wishes is a society highly vulnerable to terrorist attacks. Trying to defeat terrorist by making government even more centralized multiplies our vulnerability to asymmetrical warfare, and transforms us into a less free, less secure society. Our best defense, ironically, might be courage and urban sprawl, the same decentralization hated by big city tax collectors because it makes millions less vulnerable to them, too. A Progressive state such as California, which makes it extremely difficult for citizens to carry a handgun for self defense, leaves citizens easy targets for terrorists who know that their victims will not be shooting back. We are making ourselves sheep, a society of infants, and should not be surprised to see terrorist wolves preying on us.